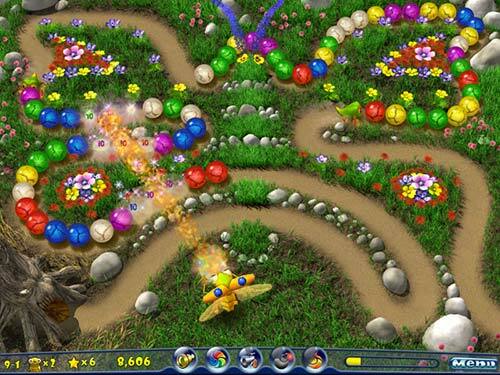 Butterfly Escape is a new and exhilarating action-puzzle game, in which you charge through 109 scenic levels. You guide Buka and use his weapons to shoot balls of light, making matches of three or more to remove them before they reach Dungeon of Darkness. You must free all the butterflies to return sunrise to Kingdom of Light and dethrone Prince of Darkness. Return sunrise to Kingdom of Light in this addictive 3D action-puzzler. A lot of 3D buterflys flys at the screen. Solve challenging mazes but watch out for the snakes, cannons and moving walls. Celebrate Spring and Summer with a garden full of butterflies on your desktop. Qweas is providing links to Butterfly Escape v1.2.1.1 as a courtesy, and makes no representations regarding Butterfly Escape or any other applications or any information related thereto. Any questions, complaints or claims regarding this application Butterfly Escape v1.2.1.1 must be directed to the appropriate software vendor. You may click the publisher link of Butterfly Escape on the top of this page to get more details about the vendor.